Welcome to Fair Tax, Inc.
Look here for your refund status! 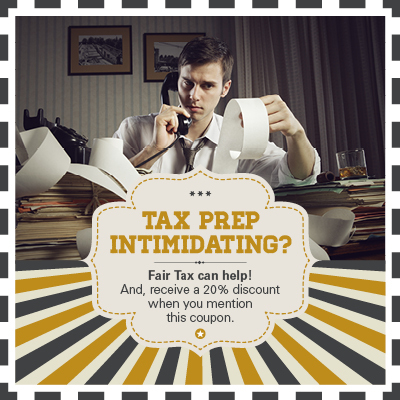 Fair Tax, Inc. is a locally owned and operated tax preparation and bookkeeping company in business since 1989. Since our inception, we have grown to become one of the largest, non-franchised tax preparation firms in the Dakotas. We prepare income tax returns for individuals and businesses as well as provide a broad range of financial services for small business. Our staff is comprised of some of the most experienced tax preparers and bookkeepers in the region. We are here to serve you year-round. Contact our expert professionals if you thinking about hiring a CPA or accountant, we have recommendations for the right course of action. Our goal is to serve you as a trusted consultant and advisor.